Oh, I don't recall who suggested this one, but thanks! I quite enjoyed it, and am ready to start the second book in the series. 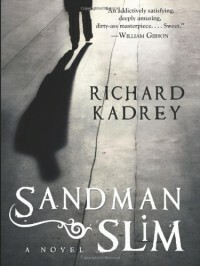 The series is similar, in some superficial ways, to the Harry Dresden novels, but considerably darker. I hope it stays that way because, as much as I like Dresden, the elf and pixie stuff is starting to feel a bit too silly for my taste.